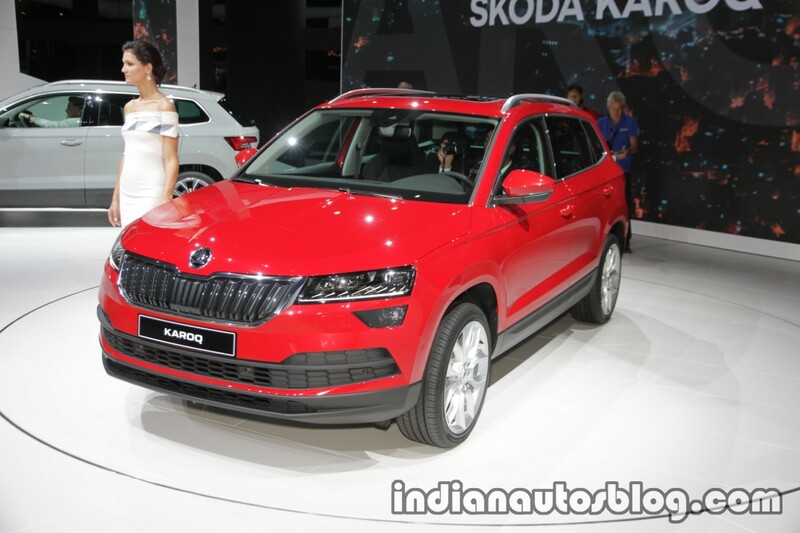 The Skoda Karoq has made its motor show debut at the 2017 Frankfurt Motor Show. Introduced in May this year, the Karoq falls in the C-segment in Europe. Developed along with the Seat Ateca under the Polaris Project, the Skoda Karoq is the successor to the Skoda Yeti. Unlike the model it replaces, it looks like a conventional SUV with a design influenced by the Skoda VisionS concept. The compact SUV measures 4,382 mm in length, 1,841 mm in width and 1,603 mm/1,607 mm in height. Like the Seat Ateca, it has a 2,630 mm-/2,638 mm wheelbase. 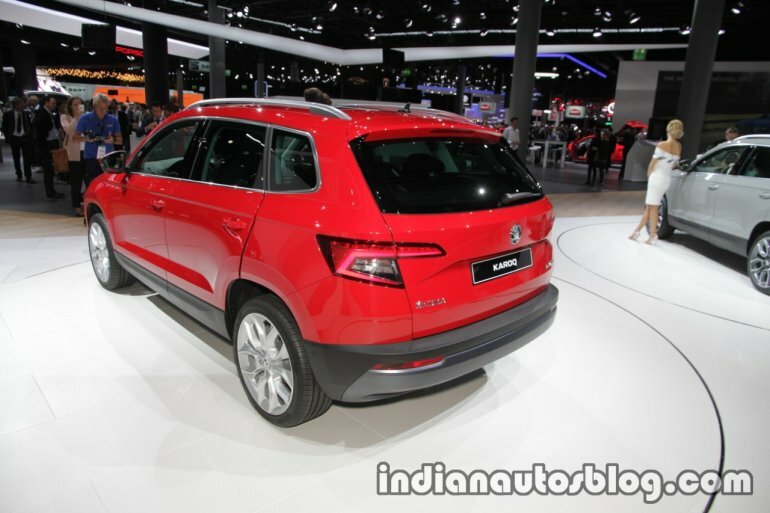 The Skoda Karoq rides on the Volkswagen Group's MQB platform. It has five engine options: 115 PS 1.0-litre TSI petrol, 150 PS 1.5-litre TSI petrol, 115 PS 1.6-litre TDI diesel, 150 PS 2.0-litre TDI diesel and 190 PS 2.0-litre TDI diesel. 6-speed manual and 7-speed DSG automatic are the transmission choices. An all-wheel drive system is available. Exterior highlights of the Skoda Karoq include full-LED headlamps, 19-inch alloy wheels and C-shaped LED tail lights. The Karoq is the first Skoda model equipped with a digital instrument panel. Other highlights include 9.2-inch Colombus infotainment system, Skoda Phonebox for wireless charging and enhanced cellular connectivity, Adaptive Cruise Control, Blind Spot Detect and Rear Traffic Alert, City Emergency Brake with Predictive Pedestrian Protection, Lane Assist, Driver Alert and Traffic Sign Recognition. The Skoda Karoq will go on sale in Europe in October this year, just weeks from now. It is being considered for India.